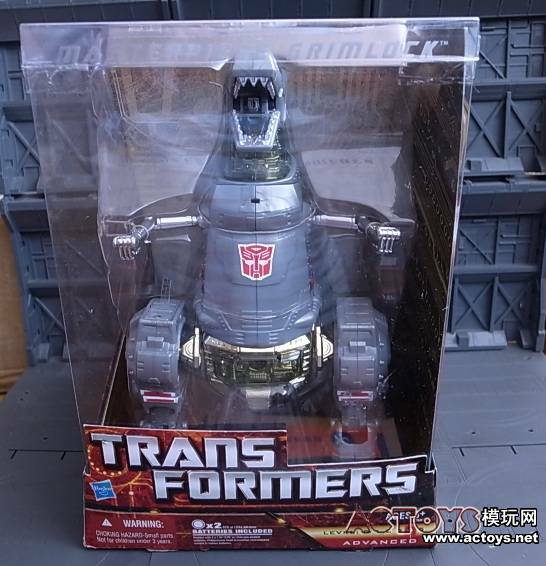 Actoys.net has in-package pictures of the upcoming Toys R Us exclusive Masterpiece Grimlock, which will be available starting at the TRU booth at San Diego Comic-Con in July. Click here to check out the US boxed Masterpiece Grimlock now. Previewsworld.com has a preview for the upcoming second issue of “Ironhide”. Stranded on modern-day Cybertron, Ironhide discovers he’s the only functioning life-form on the planet. Oh, except for the Swarm. So things could be going better. Much better. It’s times like these that Ironhide would much rather be rusting in a scrap pile. Writer Mike Costa continues to put the fallen (now resurrected?) Autobot through some strange paces. Features stunning art by Casey Coller! Ironhide #2 is due at retail on Wednesday June 2nd. Hasbro sent note this morning that they’re starting a “summer savings” promotion for Transformers, the “Double Your Action Giveaway”. When consumers purchase $25 or more of certain ROTF products (pretty much any figure class in the ROTF line) between now and July 31st, they can get 3 deluxe figures for free by simply filling out the form and mailing it in with the proper receipts. The fine print mentions circling the Transformers purchases and their prices on the receipts, and online orders have to be in the form-holder’s name. But free is free, so if you’re going to buy figures anyway, why not get something free? 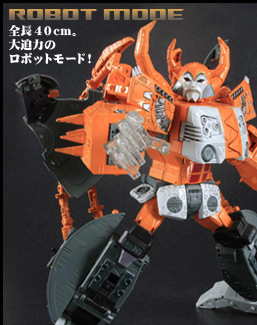 Click here to check out the full details at Hasbro.com. UGDB.com have posted an interview with Matt Tieger, the Game Director at High Moon Studios, about the upcoming “Transformers: War for Cybertron” video game. Transformers: War for Cybertron. 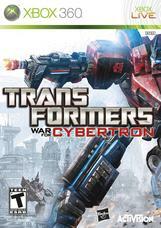 A game that is not based on the movies, depicting the beginning of the infamous war between the Autobots and the Decepticons, set on the Transformers’ homeworld, Cybertron. The Transformers fans should be hyped as hell, but still there are so many questions that we want to be answered. So, we have Matt Tieger, the Game Director at High Moon Studios to give us what we want. The game is due for release in June 2010. As reported by Mediaweek.com, along with the launch of The Hub channel on October 10th, the new “Transformers: Prime” cartoon is scheduled to make its premier on the same day. The exact time has yet to be revealed, but it is reported to be sometime in the afternoon between 1-6pm, during the new channels “Kids Afternoon/Prime block”. In addition, two well known voice actors to the franchise will be a part of the new cartoon series. As previously reported, Peter Cullen will be lending his voice and Robert Orici recently revealed on Don Murphy’s message boards that so will Frank Welker. Cullen and Welker are well known for their roles as Optimus Prime and Megatron, respectively, from the original Transformers cartoon. Comic Book Resources has posted a preview of Transformers #7 and an interview with Mike Costa. May sees the return of two major characters to the Transformers universe – one good, one very, very evil. 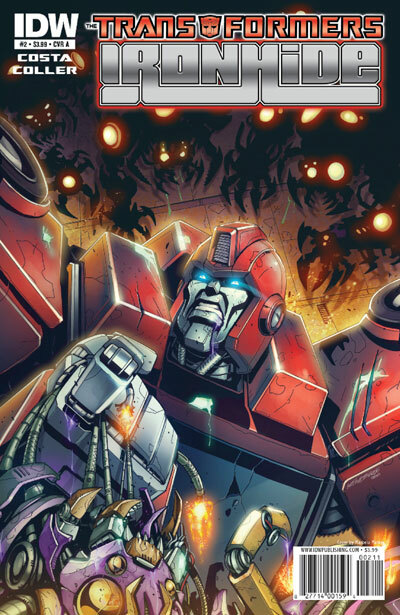 Earlier this month, IDW Publishing released “Transformers: Ironhide” #1, sparking the return of the popular Autobot who died in the first issue of the current “Transformers” ongoing series. Next week’s “Transformers” #7 follows the Decepticons exiled in space, who are floundering under Starscream’s weak leadership…but Megatron still functions and may soon reclaim his place at the top. CBR News spoke with Mike Costa, who writes both series, about the recent and upcoming changes in the Transformers line. Transformers #7 is due out next week. Will we see Barbie on “My Little Pony”?